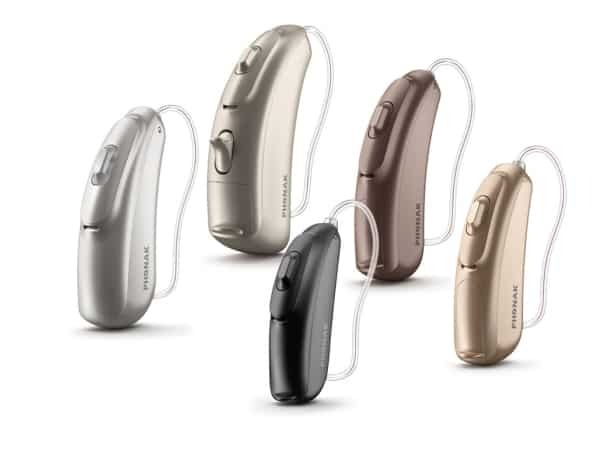 Better Hearing Center is a Washington based hearing aid company committed to giving you the highest quality products and services at reasonable prices. 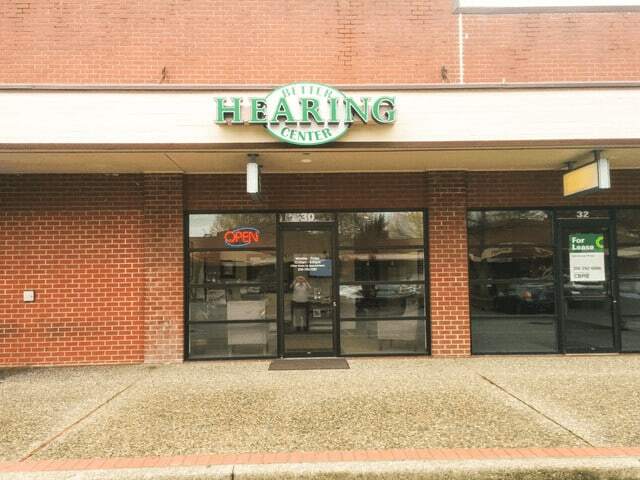 Since 1969, our core philosophy here at Better Hearing Center has remained the same. Simply put, we pioneer leading-edge technologies and methods for delivering the highest quality hearing instruments available. We believe the ability to hear well is a necessity, rather than a luxury, and that the performance and quality should be the best that modern technology has to offer. We think everyone should be able to enjoy the benefits of hearing well and we are shaping the technological advancements of today’s world to meet the everyday needs of each customer. Only with a focus on the individual can we maximize technological improvements to fully improve hearing, and in the process, a person’s quality of life. Take the first step to improving your quality of life today by calling us at (206) 782-1597. In-home appointments are also available. We maintain this focus in everything we do. Your life and your needs are our first and only concern. Excellence and quality are more than business clichés at Better Hearing Center. We aim for excellence in everything we do. From the way we run our business to our customer service, to the products to the owner’s manuals, we are committed to delivering the very best to you. Our commitment and our passion for innovation have been tireless in integrating the most advanced and premium sound systems available in a hearing enhancement and protection line. Better Hearing Center has the first product line of its kind available for the general marketplace. This revolutionary device provides leading-edge hearing enhancement with the option to simultaneously protect your hearing. Better Hearing Center can help preserve hearing for many more years to come. Zach took over Better Hearing Center from his father more than seven years ago. 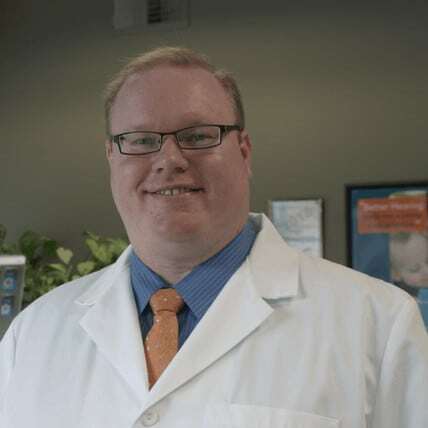 Zach is a state licensed hearing instrument specialist with an AAS degree in Hearing Instrument Sciences. He enjoys the challenge of exploring each client’s unique needs and tailoring individual treatment plans to address them. He likes reading, sports, and spending time with family. If he has the air conditioning on too high just tell him it’s freezing. Better Hearing Center offers services that will take you through the entire process of improving your hearing abilities. Our staff will give you all the information you need to choose the right hearing device based on your needs. And we’ll be there for you if you have any problems with your hearing aids. If you have any questions about our services, just ask and we’ll be happy to help you. Let Better Hearing Center make your life better. including Unitron, Starkey, Signia (Siemens), ReSound, Phonak, Oticon, Widex and more! Better Hearing Center is committed to bringing you the latest in technology. Our products are supplied by top industry leaders including Starkey, Siemens, ReSound, Phonak, Oticon, Widex and more. We use products from all the manufacturers in order to provide you with the widest range of options to fit every individual’s needs. After we evaluate your hearing needs, we’ll help you find the best device in your price range. The electronics for this hearing aid fit behind the ear while tubing directs the sound to the ear canal. Because of its larger size, BTE can provide more amplification and accommodate any range of hearing loss. These are smaller than BTEs, but follow the same electronic design. The biggest difference is that the earpiece does not fit as tightly into the ear canal. This style is comfortable and natural. These virtually invisible hearing aids are best for those with mild to moderate hearing loss. They are the smallest type of hearing aid and fit deep into the ear canal. This style is slightly bigger than the CIC style, but still fits in the ear canal. It also accommodates those with mild to moderate hearing loss. Better Hearing Center wants to help you no matter what your budget is. That’s why we accept most insurances as well as Labor and Industries new and existing claims. We will even match or beat any locally advertised price to ensure you get the best service at the best price. We want to help you improve your quality of life regardless of your circumstances, so call us today and we’ll help you get back to what really matters in your life. Once you have made the decision to improve your life with a hearing aid, we’ll order it for you and inform you when it comes in. When you come to pick it up, we’ll make sure it fits perfectly and make any adjustments you need before you leave the office. 1. Do you have to turn the volume up on your television? 2. Do you frequently have to ask others to repeat what they said? 3. Do you have trouble understanding in noisy environments? 4. Do you have trouble understanding women or young children? 5. Do you have trouble understanding someone speaking to you from another room? If you answered “yes” to any of these questions you may have some hearing loss and could likely benefit from one of the Better Hearing Center hearing solutions. If you would like to discuss your unique hearing needs, call us. A hearing specialist will help you make an intelligent decision about your hearing. Avoid exposure (more than 15 minutes) to damaging sounds or protect your hearing if you are going to have prolonged exposure to damaging sounds. Protecting your ears can as simple as purchasing hearing plugs or muffs. But for some people, perhaps you, it is important even critical to be able to hear well while being protected. If you are one of these people then you will love our Hearing Protection System (HPS). Better Hearing Center’s specially designed comfort foam tip blocks harmful sounds while the HPS system digitally reduces those sounds. Perfect for hearing well in noisy environments while protecting your ears from damaging sounds. For more information on hearing loss, call our office to schedule an appointment. Hearing is essential to full enjoyment and participation in life. Unfortunately, today 1 in 10 Americans — over 31 million people — experience some degree of hearing loss. Thirty three percent of all hearing loss occurs when exposure to prolonged or loud noise destroys the nerve endings in the inner ear or along the nerve pathways to the brain. Today we endure more noise pollution than any other generation with: car horns, aerobics classes, concerts (even symphony music), IPODs, waverunners, jet planes, gun blasts and lawn mowers a common part of our lives.